Aquatica Aquarium Gallery is Northeast Ohio’s largest and most innovative Aquarium Specialty and Tropical Fish Store. We are located just south of Cleveland and north of Akron in Valley City, Ohio. Aquatica is home to thousands of fish, both freshwater and saltwater and live corals. We have hundreds of products in stock every day including rare and hard to find aquatic plumbing parts. Our mission is to provide each of our customers with a unique experience they deserve by extending our knowledge and love for the hobby to them. Stop in and experience a fish store like nothing you’ve ever seen before! And if you live farther away, don’t worry! Our new Online Superstore just launched! You can visit it here: https://shop.aquaticasuperstore.com today! Our livestock calls home a completely stand-alone system with individual tanks all with their own water source and filtration. In fact, our entire store is set up this way. No two tanks share a water supply. This means that if there ever is a case where we have a fish come in that has an illness, it stays in that tank. It does not get spread to other fish or tanks therefore our ecosystems are safe and healthy which means you will get safe and healthy livestock. Aquatica Aquarium Gallery specializes in everything relating to our wonderful passion. 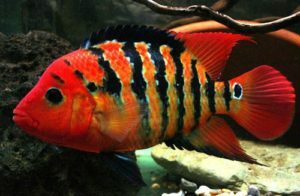 We have the largest selection of African Cichlids under one roof in the state of Ohio and compliment that with a huge selection of other freshwater fish such as Angelfish, Discus, Livebearers, Catfish, Shrimp and more. We have a large selection of live freshwater plants as well. Need other decorations? We have those, too! We have a massive saltwater livestock selection to choose from as well. From saltwater fish for the beginners to the very advanced, we cover all bases. We have your every day Clownfish up to the more advanced species and some rare species that are hard to care for and have very specific diets. Need some cleaners and clean up crew? We have those as well. And if you’re seeking that rare or hard to find piece of coral then you’ve come to the right store. 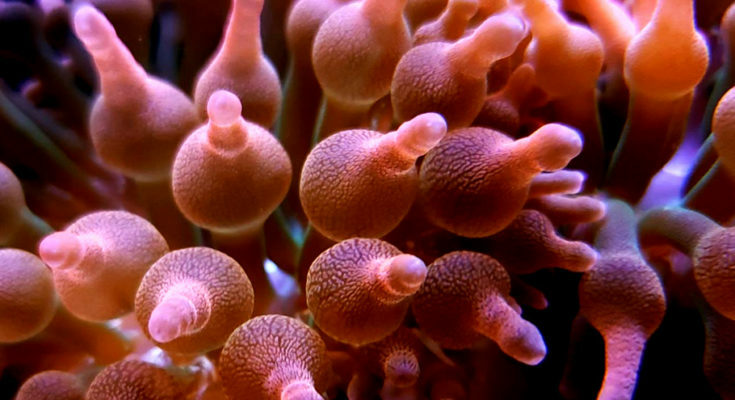 Aquatica Aquarium Gallery is home to some of the nicest live coral species in all of Ohio. From the entry level corals like Pulsing Xenia and Mushrooms to various types of LPS and the super extravagant SPS corals, we have it all. Be sure to stop in to see our display tanks where you will see some of the nicest corals in the hobby and witness our custom built three-tier coral display tank! One of the things that sets us apart from anyone else is our product selection. 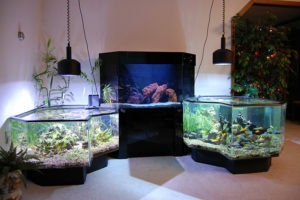 We go over and above to always carry the latest and most innovative aquarium products. We have two warehouses with over 15,000 products in stock at any given time to make sure that you never need to make multiple stops or go anywhere but Aquatica. We even stock the most rare and hard to find plumbing parts for your aquarium and RO systems so you can finish that custom project with ease. Be sure to check out our Service Page to see what else Aquatica Aquarium Gallery has to offer!